Bridgestone boss Hiroshi Yamada has cast doubt on Dani Pedrosa’s chances of making an immediate impact on the Japanese factory’s tyres following his shock switch from Michelin yesterday. Pedrosa will race on Bridgestone tyres in the last five races after Honda and Repsol negotiated an immediate release from Michelin. Pedrosa has been getting increasingly frustrated at Michelin’s lack of competitiveness against Bridgestone, and he demanded a move after slumping to 15th place in last month’s Brno GP in the Czech Republic. Pedrosa will make his Bridgestone debut in Indianapolis on September 14, but Yamada has warned him not to expect a dramatic improvement, reminding the Spaniard how long it took Valentino Rossi to make the transition. Rossi failed to win in his first three Bridgestone outings and Yamada told MCN: “I don’t think Dani will find it easy. I don’t think he will get good results immediately but the motivation is important and it might not matter about tyre performance. 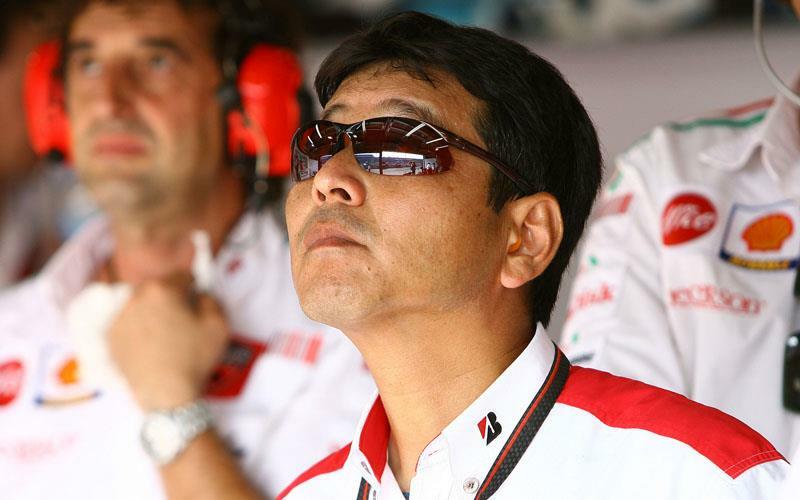 Yamada was forced to delay his flight back to Japan to attend Pedross’s debut today in Misano and he added: “At the moment he will use standard tyres in the test, and maybe he has to continue with this for Indianapolis. Was Dani Pedrosa right to snub Marco Simoncelli handshake? Video: Marquez and Pedrosa go head to head… on lawnmowers!